This post is a throwback to summer 2013. Wrapped up in the hustle and bustle of life’s big waves, I neglected to post about a few fantastic adventures. 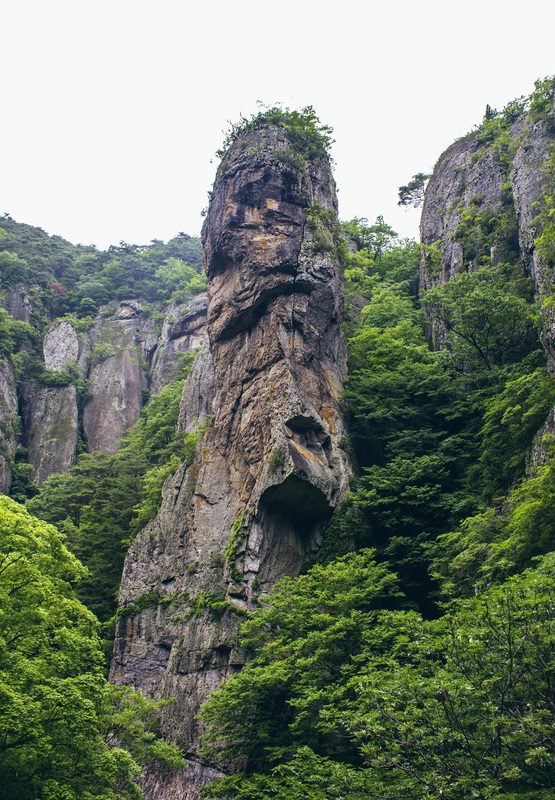 An unforgettable trip with Seoul Hiking Group to Juwangsan National Park was one of these such delights. 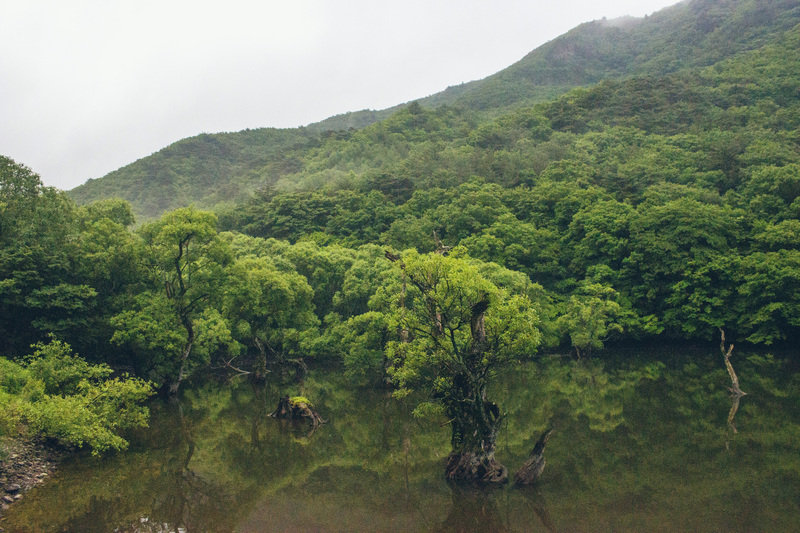 For those unfamiliar with Korea’s National Park system, it may be tempting to assume that in such a small country, the parks feature similar landscapes and are fairly homogeneous in nature. This could not be farther from the truth! 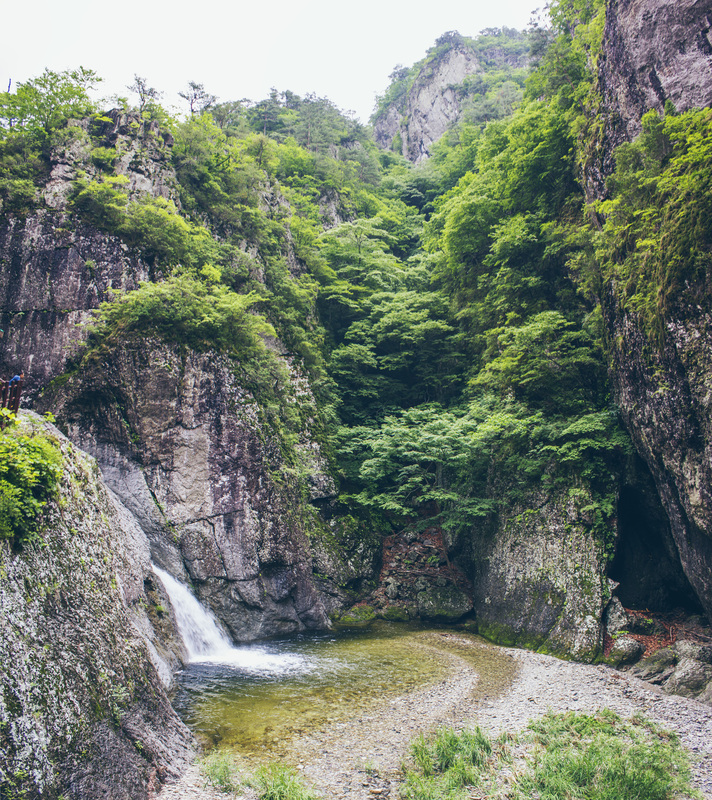 A lesser known park, Juwangsan National Park boasts dense valleys, unique rock formations and waterfalls that are not only impressive, but near impossible to find anywhere else in Korea. After reveling at the sheer natural beauty of the lake and a quick breakfast, we were off to visit an untouched valley to dance across streams and traipse through the forest. From what I understand, Jubang Valley had only very recently been re-opened to the public after being close for many years for regrowth. What a treat! 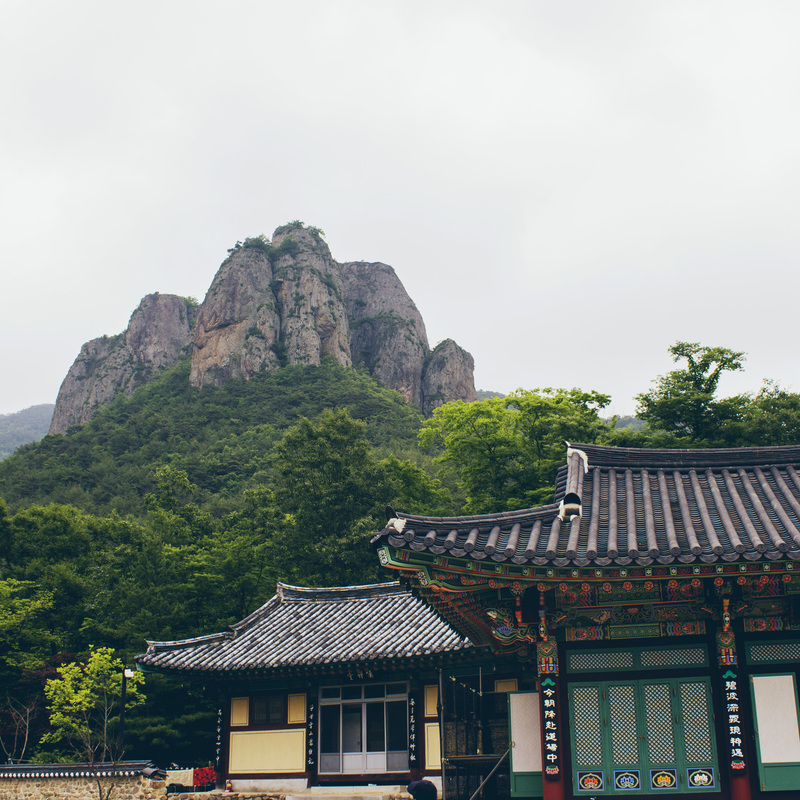 In Korea, this felt like being privy to a secret of legendary proportions: you are never, ever surrounded by nature that has been undisturbed for any amount of time. 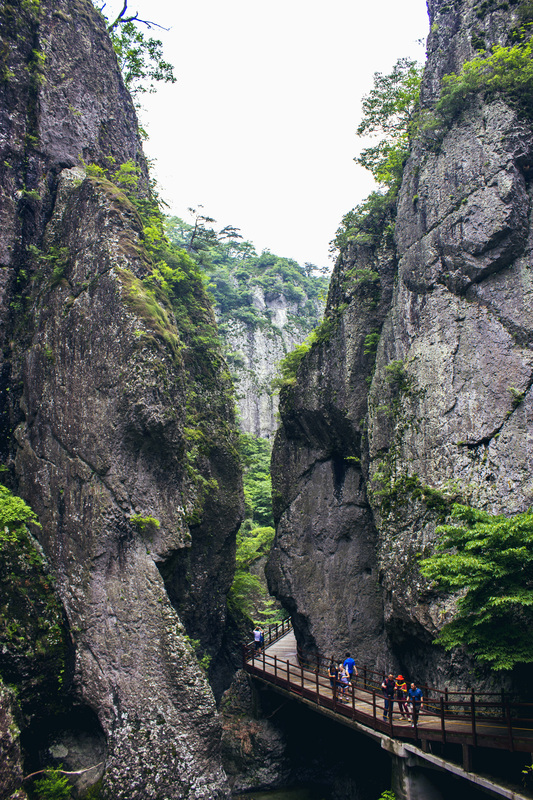 Sure, if you know your way around a Korean mountain, you might be able to carve out a secret corner for a few minutes until the inevitable hiking pole pokes you right in the bum. 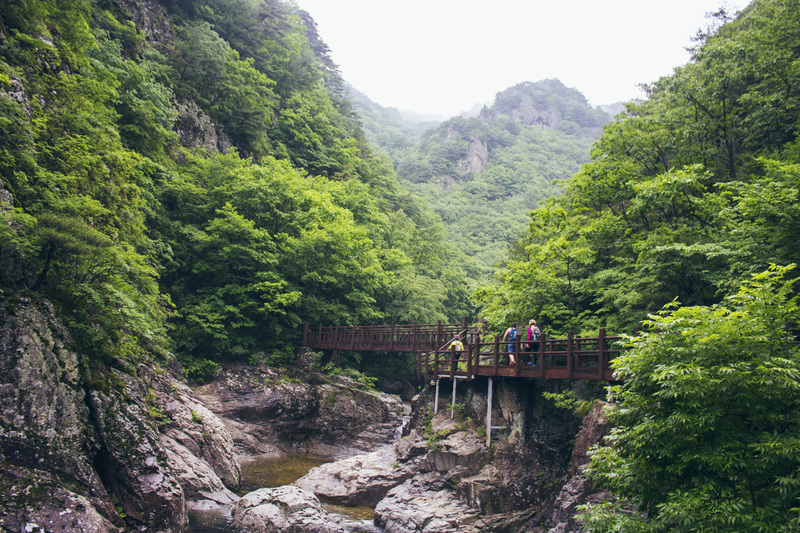 Despite the great number of mountains in Korea, they are over saturated with hiking enthusiasts. 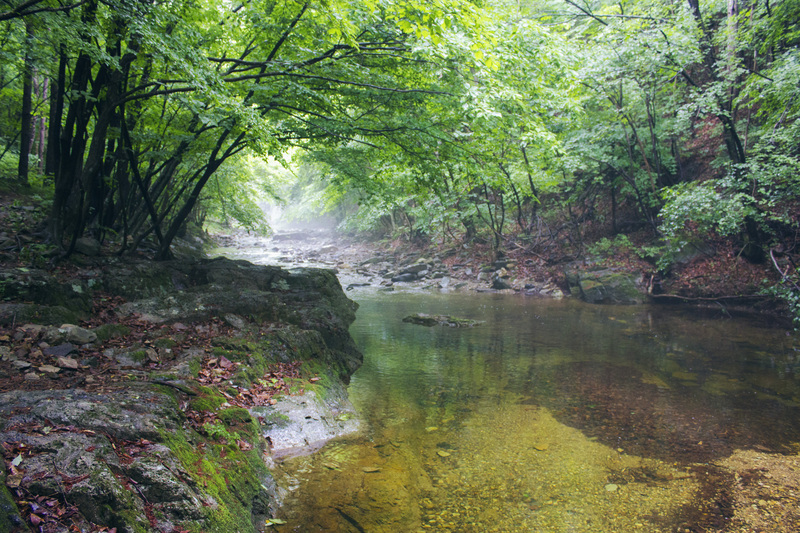 Meandering through the Jubang Valley in Juwangsan National Park was unlike any other experience I have had in Korea. 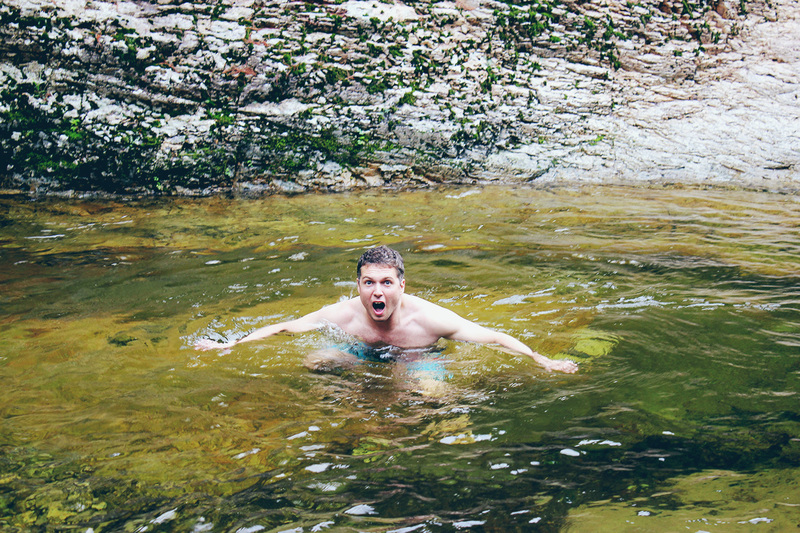 We were giddy with excitement, breathing in virgin air, hopping from rock to rock, attempting not to plunge our boots into the water as we crossed back and forth across a stream, attempting to follow an ambiguous trail along the valley floor. Our trail through the Jubang Valley was relatively flat until a steep ascent to Gamebong Peak, 820 meters. 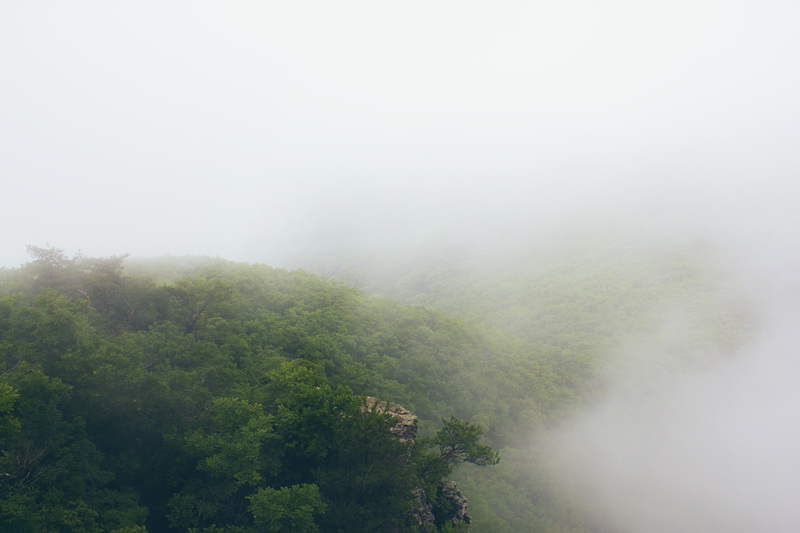 Shrouded in a thick layer of fog, it was impossible to see anything atop Gamebong Peak. We perched at the high point for only a brief layover before descending back to the valley and on towards the more populated end of the park. 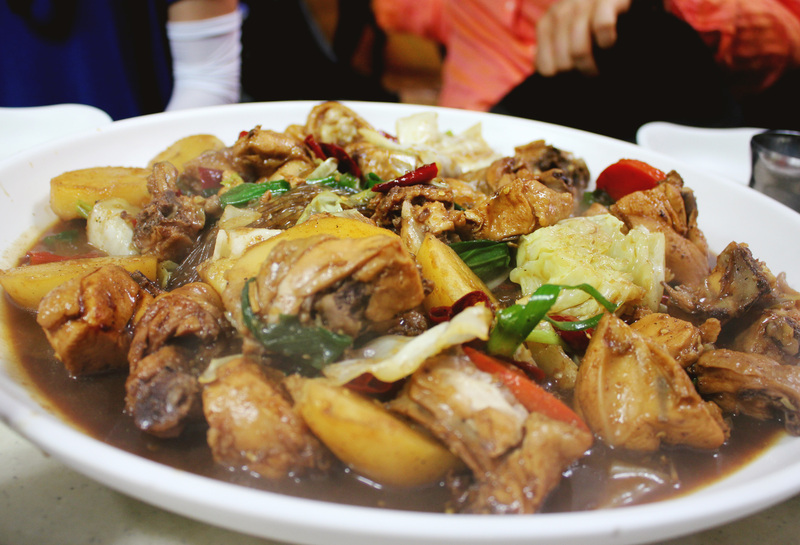 This 2013 Seoul Hiking Group trip also featured overnighting at the Andong Hahoe Folk Village , attending the famed Hahoe Mask Dance performance and the consumption of one of my favorite Korean meals: Andong Jjimdak. 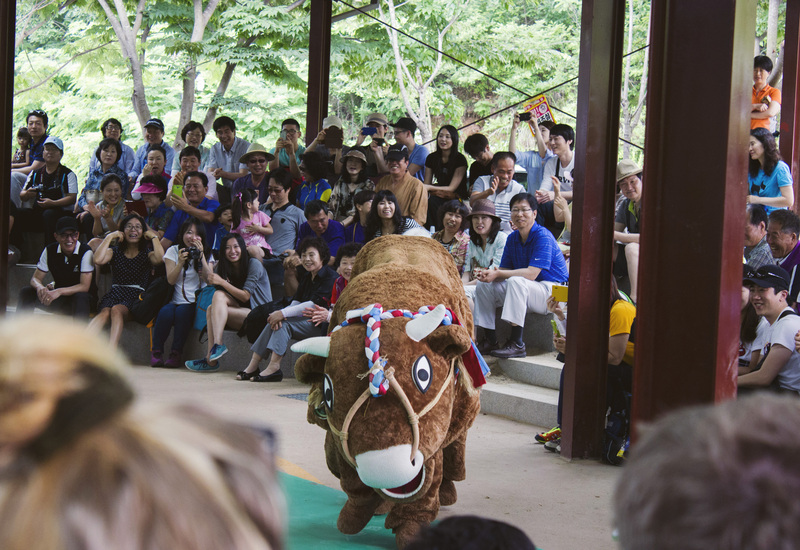 All these cultural goodies were impressive, but the real attraction for me was Juwangsan National Park. I love Warren! I wonder if we’ve been on any trips together haha. 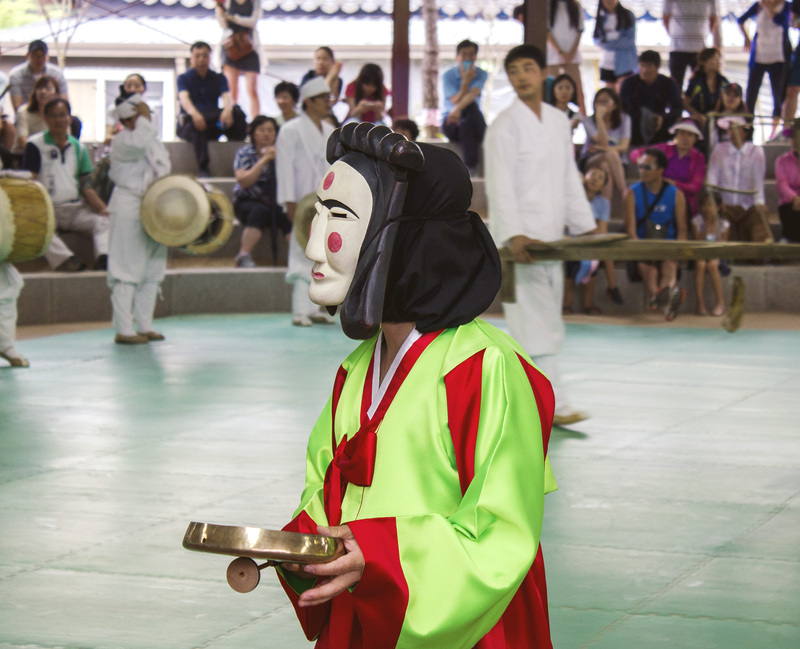 Juwangsan is an awesome park too bad I missed the Mask Dance when I went in 2014.